Looking for an easy way to get your chocolate fix? 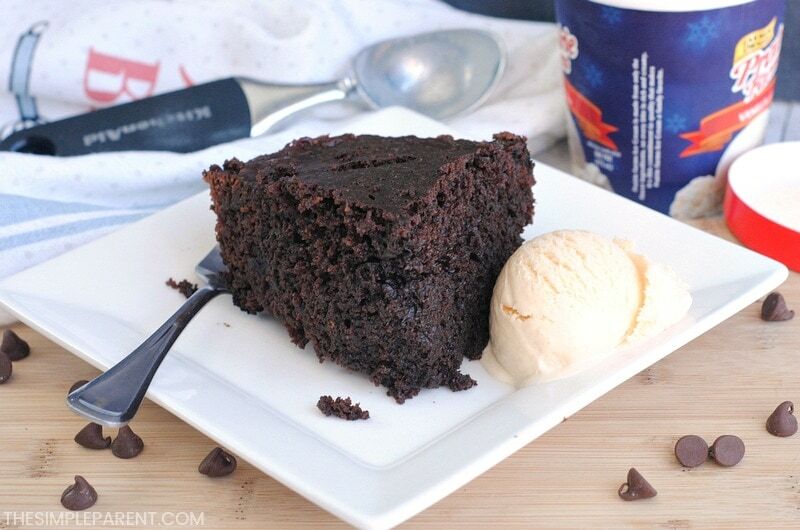 Try this Crockpot Chocolate Cake! It’s heavenly! I have a sweet tooth. I won’t even try to deny it. My daughter seems to have gotten the sweets gene too. She’s a huge fan of brownies and I’m a fan of cake and cupcakes. So chocolate cake is where we often meet in the middle! 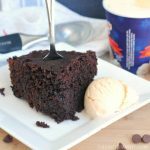 We’ve made brownies and cupcakes in many different ways and this Crockpot Chocolate Cake recipe is our latest delicious creation! Many of my friends make all sorts of tasty goodies in their slow cookers but I’ve always been more about dinner ideas or dips. I’ve also made hot chocolate in our Crockpot but I’ve never made a dessert! 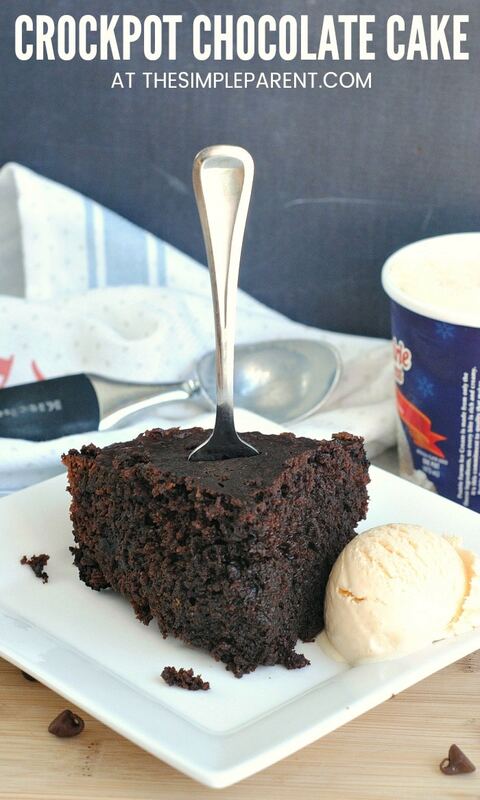 What a better dessert to start with than chocolate cake? This recipe uses cake mix which we love using to make different treats. You can see our other favorite ways to use cake mix and get busy in your kitchen! You can use any brand of cake mix and pudding mix that you’d like to make slow cooker cake. STEP 1. Generously spray the inside of the slow cooker insert with non-stick cooking spray. STEP 2. Combine the cake mix, pudding mix, sour cream, vegetable oil, and eggs. Mix well. STEP 3. Pour the cake batter into the slow cooker and heat on low for 2-3 hours. STEP 4. Let cool and serve with vanilla ice cream! 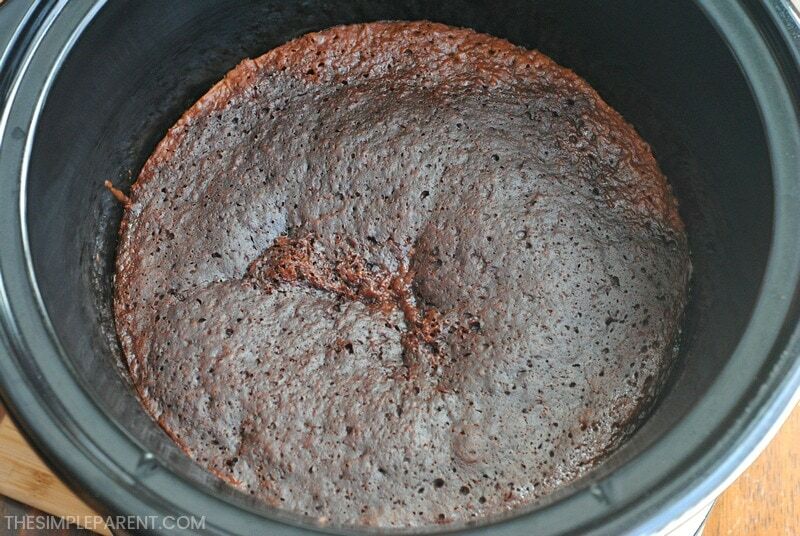 If this is your first time baking a cake in your slow cooker, make sure to keep an eye on the cake. Mine started to burn on the sides after 2.5 hours and I turned off the Crockpot. Just be sure to check on your chocolate cake until you’re familiar with how your slow cooker works with cake! Generously spray your slow cooker insert with non-stick cooking spray. Combine the cake mix, pudding mix, sour cream, vegetable oil, and eggs. Mix thoroughly. Pour the cake batter into the slow cooker and heat on low for 2-3 hours. We love this Crockpot cake served with ice cream. It’s also delicious with chocolate syrup or hot fudge! 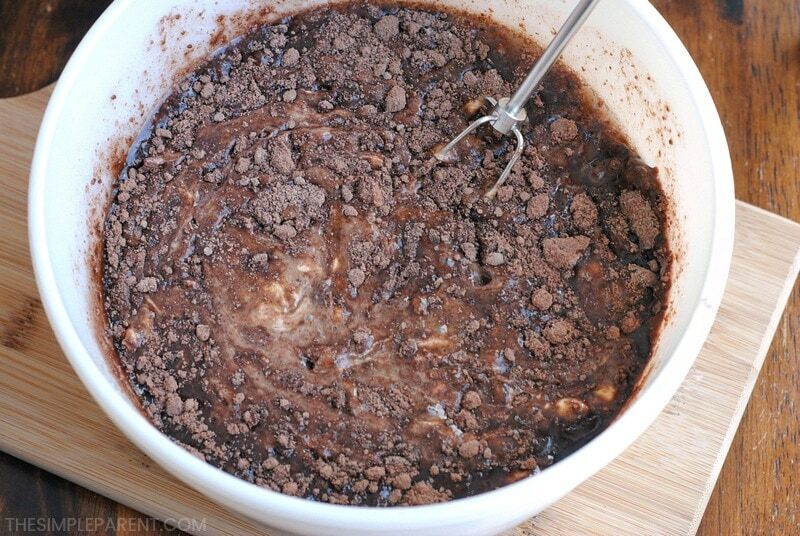 You can turn it into a lava cake type dessert just by adding the chocolate sauce! If you are more of a vanilla cake fan, this is a great slow cooker vanilla poke cake to try! For more of our favorite Crockpot dishes, check out our slow cooker recipes!